Create and Sing Carmen is a Key Stage 1 and 2 singing project, based on Bizet’s world-famous opera Carmen, that will inspire a generation of schoolchildren to engage with opera through story, character and song. The programme is free for schools across the country with open-access digital resources linked to the National Curriculum for teachers to use in lessons over their choice of a 2, 5 or 10 week-period. 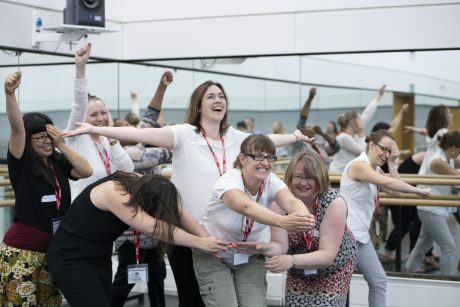 To equip teachers to deliver this programme within their schools, the Royal Opera House are offering free fully certified one-day CPD workshops, led by a professional director and vocal leader, in partnership with Music Hubs and Services. The CPD session introduces teachers to the story of Carmen and the key characters through a variety of creative drama and singing exercises and will cover five numbers from the production which have been specifically adapted for a primary audience.